So You Think You Can Mom? : Happy Stacking at STACKED! Burgers have just reached an all new level at STACKED! 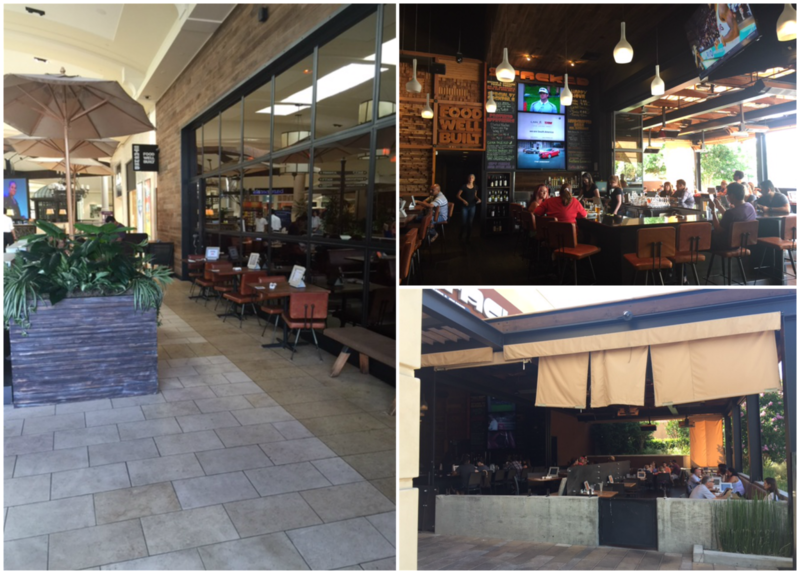 I recently took my family out to STACKED in Thousand Oaks to see what all the excitement was about and I am so glad that I did. This place is awesome! Our server, Mary, was great! She showed us how to order our meal on the iPad and how to send our drinks and appetizer orders to the kitchen first while we were still deciding on our entrees. This is such a great feature! Especially, when you have starving and restless kids at the table. 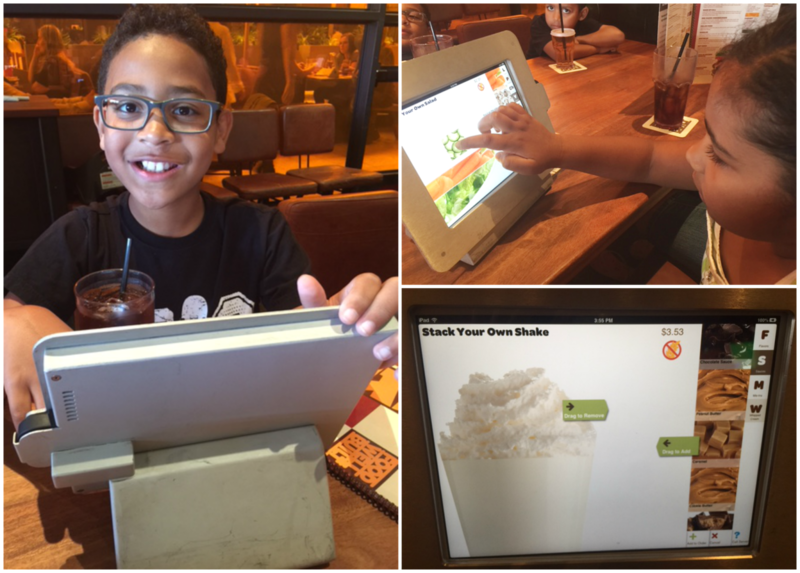 My kids were so excited to be able to order and customize their food with the iPad at our table. They are picky eaters like most kids are. They also rarely agree to eat at the same place because they each want something completely different to eat. STACKED actually had everything they liked and made it exactly the way they wanted it. This is a dream come true! My husband and I were able to have a nice conversation while the kids were ordering their meals. Everything arrived at the table exactly the way we ordered it! Mya was so excited to see the salad that she "designed" and she couldn't wait to dig in. Parker was so impressed by his kid's meal that he gave it a "thumbs up". Our burgers were stacked to perfection! I ordered the Cheesebuger Bytes and they were so delicious. Three mini burgers on brioche buns with all of the dressings on the side so I could enjoy stacking it my way. I even added bacon! When we saw a Toasted Marshmallow milkshake on the menu we just HAD to order it! I remember seeing a Toasted Marshmallow milkshake on a series that aired on the Food Network channel, but have never been able to find one anywhere local to try. It was just as yummy as it sounds and Mya loved it! STACKED offers a really great service for hungry customers that have to wait for a table. They have 2 iPads located in the waiting area which allows customers to order their entire meal before their table is even ready. The order gets sent to the kitchen and will be ready and served to you just as soon as you are seated. HOW AWESOME IS THAT?!?! This is just perfect for parents waiting with hungry kids. We had such a wonderful time at the Thousand Oaks STACKED. They have a fantastic staff, great location and amazing food. My kids are already asking me when we will go back for more stacking. Thank you so much to Managers, Lindsay and Josh, for welcoming us and making us feel at home. Thanks to our server, Mary, for being so great with our kids and making their first STACKED visit so fun and a BIG Thank You to Bar Manager, Steve, for hanging out with us and sharing some good laughs. We'll see you real soon! Disclosure: I was not compensated for this post. I was invited to sample the new STACKED location in Thousand Oaks in order to facilitate my review. These are just my two cents!